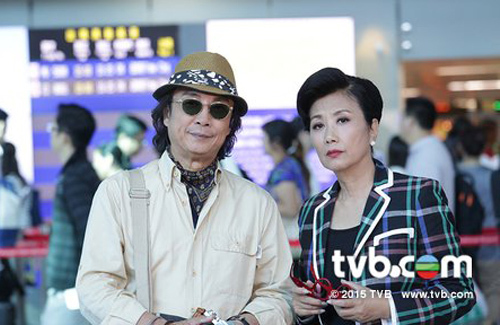 Liza Wang (汪明荃) and Damian Lau’s (劉松仁) Limelight Years <武則天> was met with a warm reception. Peaking at 30 ratings points, the drama attracted 2 million local viewers, once again proving the magnetism of Liza’s star power. In its third week of broadcast, Limelight Years is one of the most highly-rated series this year. Last night’s episode averaged 26.4 ratings points, drawing in over 1.71 million viewers. During Monday’s episode, the scene with Liza and Jonathan Wong (王梓軒), who plays her son in the series, propelled the series to a peak rating of 30.3 points. While Limelight Years has been well received, it still fell behind the ratings of Mainland drama The Empress of China <武則天>, which is currently broadcast in Hong Kong. Liza stated the two series are of different genres and cater to different audience groups. This drama deserves the good ratings it has received. The story line is fresh and meaningful with sub-plots of individual characters syncing well with the main plot. There is a good dosage of touching scenes pulling at one”s heartstrings without them being over-dramatized. The dialogue is rich with wise sayings and at the same time quite funny. Credit to all the actors for doing a very good job. Besides Liza and Damian’s strong performances, the others also pulled their weight including Linda Chung who I have been criticizing for her previous dramas. But in this one, she is comfortably natural in her role, and brought on plenty of laughs without over-acting. Linda has sort of redeemed herself in my view and hopefully she has found her strengths that TVB would recognize and stop casting her in ridiculous roles as in Tiger Cub 2.
true……Linda was not an outstanding performer however in Limelight years…..she was ok…..
@freedalas WOW I cannot believe what I’m reading from you about Linda Chung. Finally a post without bashing Linda? Lol. Thanks. So far 司徒迪迪 have become Linda fans favourite character and yes she is indeed hilarious in so many scenes! Make me laugh a lot too! Yes this drama is the best so far this year. Linda’s character is my favourite.